Who has time to read, let alone write? Well, Hendrik Hertzberg, for one, has argued that folks today actually write more than ever before. The Elberta Alert goes some way to proving Hertzberg’s point with our Two-Minute Reviews. This set came in via text message right after the reviewers watched The Help at the Garden Theater on Sunday, October 2. 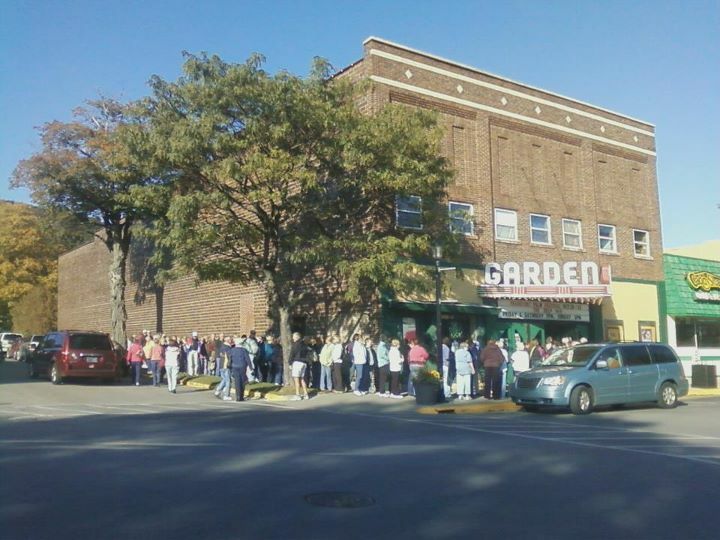 The line for "The Help," Sunday, October 2, 2011, photo posted to the Garden Facebook page by Aubrey Parker. I thought the movie was more understandable having read the book. Not sure people who didn’t experience that culture could read enough between the lines. I’m glad there was a big crowd in FF.